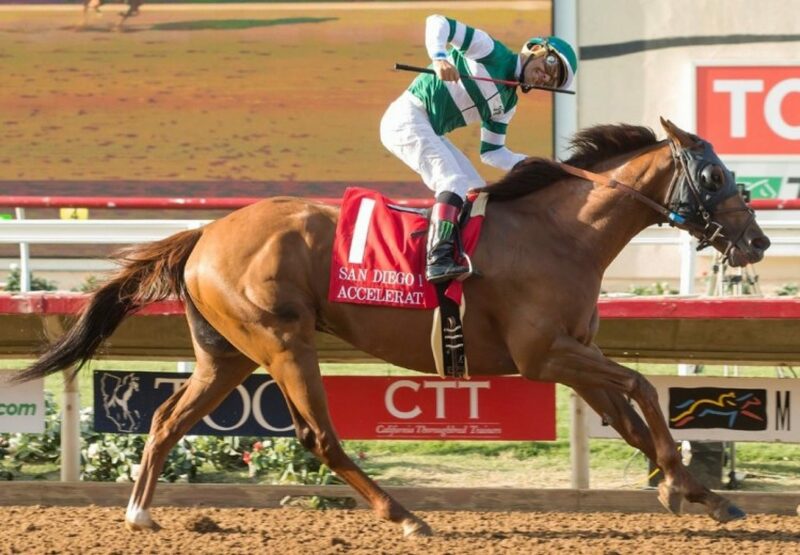 Accelerate (4h Lookin at Lucky x Issues, by Awesome Again) won the Grade II Los Alamitos Derby last season at three and hit top form again at Del Mar on Saturday when taking out the $300,000 Grade II TVG San Diego Stakes with superstar Arrogate a disappointing fourth. Trained by John Sadler, the son of Lookin at Lucky took up the lead from the jump and set a good pace in front while Arrogate was niggled to stay in touch. Accelerate did just that down the running for Victor Espinoza opening up to win the 1 and 1/16th mile contest by eight and a half lengths. “I was surprised by how far I won,” Espinoza commented. “I wasn’t surprised that I did; I was here to win. 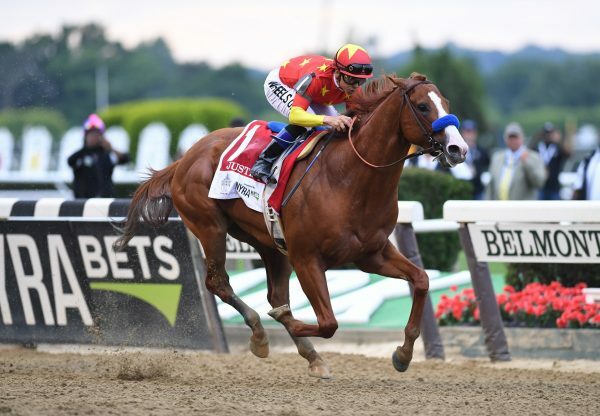 I thought I’d sit second or third, but when that speed horse [El Huerfano] stumbled at the start, I made an easy lead. 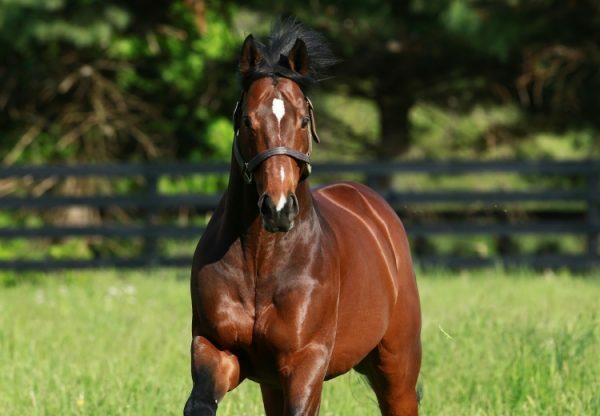 He’s a nice horse.” One of 24 stakes-winners for Lookin at Lucky, Accelerate has the overall record now of four wins and seven placings from 12 starts with prizemoney topping $600,000. A $380,000 Keeneland September purchase, Accelerate runs for Hronis Racing and was the most expensive yearling by his sire sold in 2014. 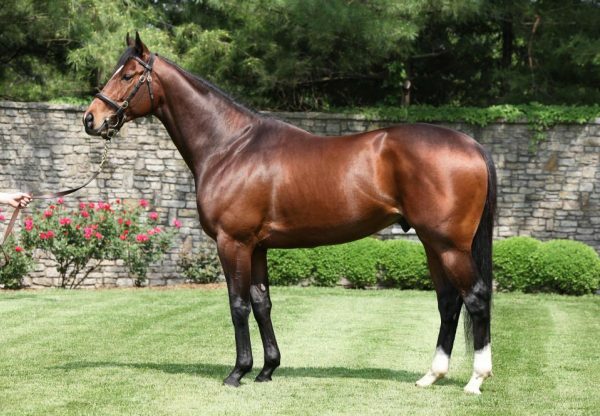 A half-brother to stakes-winners Amarish and Daddy DT, Accelerate is from the good producing stakes-placed mare Issues.